New York: Harper and Brothers Publishers, 1930 Red cloth on boards. DJ shows wear and hand soil. Book is generously underlined throughout in light pencil. Previous owner's name. The author was Advertising Manager for the Rogers Peet Company and Instructor of Advertising, Columbia University. 178 pp. with index.. First Edition. Hard Cover. Good/Good. 8vo - over 7¾" - 9¾" tall. Fredricton, N.B. : Canadian Institute of Mining, Metallurgy, and Petroleum, 2003 Softcover book of 328 pp. Very limited highlighting. . First Edition.. Soft Cover. Very Good/No Jacket. Illus. by Photos. Maps.. 8vo - over 7¾" - 9¾" tall. Boston, MA: Jordan Marsh Company, 1950 An insider's version of the first hundred years of one of Boston's premier businesses. 116 pp. . Hard Cover. Near Fine/No Jacket. 8vo - over 7¾" - 9¾" tall. London: Andre Deutsch, 1979 Red cloth on boards. Price-clipped DJ protected by Gaylord wrapper. The inside story of how the "Little Brown Man" sold his publishing business. 256 pp. with index. . First Edition. Hard Cover. Very Good Minus/Very Good. Illus. by Photos. 8vo - over 7¾" - 9¾" tall. Toronto: Stoddart Publishing Co., Ltd., 1990 The story of Thomas J. Bata and Bata Shoes, a family business with headquarters moved from Switzerland to Batawa, Ontario, in order to escape Hitler. A "feel good" story. 341 pp. with index. . First Edition.. Hard Cover. Good Plus to Very Good/Good Plus to Very Good. Illus. by Photos. 8vo - over 7¾" - 9¾" tall. Toronto: Viking, 1996 Harrison and Walllace McCain are the main players in the frozen food business at Florenceville, N.B. Now, after several years of success their relationship appears strained. 352 pp.. First Edition.. Hard Cover. Very Good/Very Good. Illus. by Photos. 8vo - over 7¾" - 9¾" tall. Halifax: Nimbus Publishing Limited, 2008 A fast-moving, well-told story of Saint John's brewery and its fight for survival, from matriarch Susannah Oland of Halifax to Derek Oland of New River Beach. 178 pp.. First Edition. Hard Cover. Near Fine/Near Fine. Illus. by Photos. 8vo - over 7¾" - 9¾" tall. London: Blandford Press, Ltd./ Postal History Society, 1955 Although mail was being distributed in some cases by stagecoach, the service was slow, drivers were immature and undependable, and robberies were frequent. John Palmer proposed quicker delivery accompanied by guards, at a slightly higher cost. After a week's trial the new plan was accepted. Palmer's troubles weren't over, but he and his system survived. 109 pp.. First Edition. Hard Cover. Very Good/Good. Illus. by Photo Section and Drawings. 8vo - over 7¾" - 9¾" tall. Saint John, N.B. : NB Southern Rail, 1998 A group from St. Andrews got the ball rolling in 1827 by arranging surveys, but construction was delayed by nearly 20 years. Photos of various stations. 36 pp.. Soft Cover, Stapled. Very Good/No Jacket. 8vo - over 7¾" - 9¾" Tal. Fredericton, N.B. : Omega Publishing Division, Omega Management Services, 1978 The sad tale of the Bricklin car. 38 pp. Creased from having been folded in half.. First Printing. Soft Cover, Stapled. Good Plus/No Jacket. Illus. by Fulton Graphics, Ltd.. 6 x 8 Oblong. Hantsport, N.S. : Lancelot Press, 1983 Green softcover. No writing except author's signature. Cover corner bent. 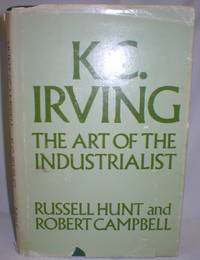 Not intended as autobiography, but gives numerous details of various jobs and related activities around the world. 132 pp.. Signed by Author. Soft Cover. Good Plus/No Jacket. 8vo - over 7¾" - 9¾" tall. Grand Manan, N.B. 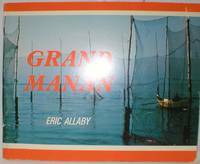 : Grand Manan Museum, 1984 An excellent book, well-illustrated and described. I found the illustrations and descripions of lobster boats, herring pumpers, and scallop draggers especially informative. 64 pp.. Inscribed and Signed By Author. Soft Cover, Stapled. Good Plus to Very Good/No Jacket. Illus. by O.K. Schenk, et al. 8 1/4 x 10. 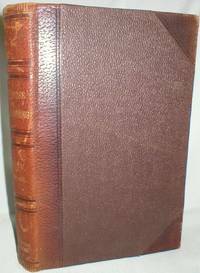 Scranton, PA: International Textbook Company, 1899 3/4 leather on leather boards. Blowpiping. Mineralogy. Assaying. Geology. Prospecting. Placer and Hydraulic Mining. Heavy book of approx. 500 pp. will need extra postage.. Hard Cover. Very Good/No Jacket. 8vo - over 7¾" - 9¾" tall. Scranton, PA: International Textbook Company, 1899 3/4 leather on leather boards. Preliminary Operations at Metal Mines. Metal Mining. Surface Arrangements at Metal Mines. Ore Dressing and Milling. Practical Questions and Examples. Heavy book of 450-500 pp. will need extra postage.. Hard Cover. Very Good/No Jacket. 8vo - over 7¾" - 9¾" tall. 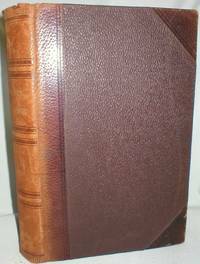 Scranton, Pa.: International Textbook Company, 1899 3/4 leather on leather boards. Steam and Steam-boilers. Steam-engines. Air Compression. Pumping. Hydromechanics. Haulage. Hoisting Appliances. Percussive and Rotary Boring. Questions and Examples. No marks or damage. Heavy book of approx. 450 pp. will need extra postage.. Hard Cover. Very Good/No Jacket. 8vo - over 7¾" - 9¾" tall. 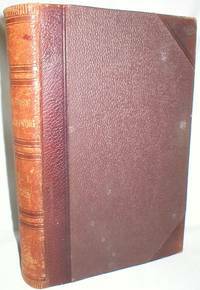 Scranton, Pa.: International Textbook Company, 1899 3/4 leather on leather boards. Contains answers to Questions in Vol. I-IV. Only one copy of this volume is available. Heavy book of approx. 200 pp. will need extra postage.. Hard Cover. Very Good/No Jacket. 8vo - over 7¾" - 9¾" tall. 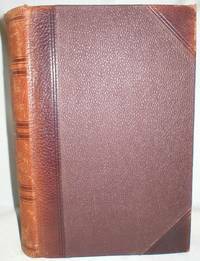 Scranton, PA: International Textbook Company, 1899 3/4 leather on leather boards. Arithmetic, Formulas, Geometry. Trigonometry. Mine Surveying. Mapping. Mechanics. 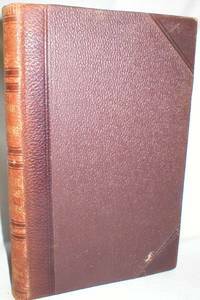 Other volumes of this set are listed separately. Heavy book of about 450 pp. will need extra postage.. Hard Cover. Very Good/No Jacket. 8vo - over 7¾" - 9¾" tall. Toronto: McClelland & Stewart, Ltd., 1973 Green cloth on boards. DJ chipped head and foot. The story of how one man bought New Brunswick. 197 pp.. Soft Cover. Very Good/Fair. Illus. by Photos. 8vo - over 7¾" - 9¾" tall.